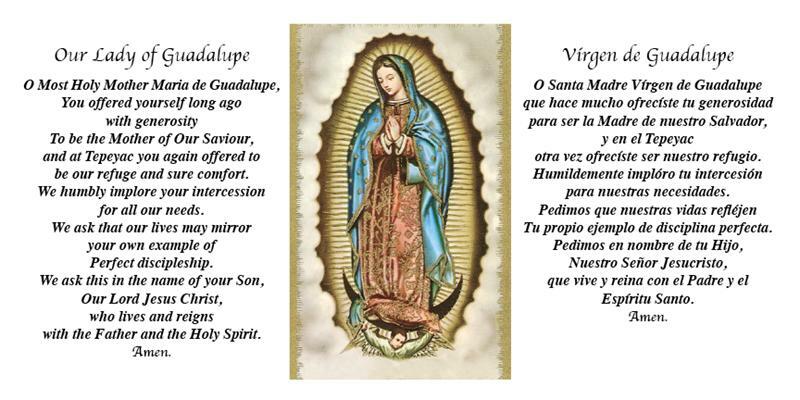 The Our Lady of Guadalupe 3-Day Intention Candle with open-mouth design has a prayer to Our Lady in both English and Spanish. The candle measures 5.25" in Height and has a diameter of 2.5". These candles are Made in the USA.